There are many reasons why we may need to drop a few pounds in a pinch, whether it be a milestone birthday, your best friend’s wedding, a high school reunion, or just plain stress. While being consistent with your diet is the key to long-term weight loss, there are other weight loss tricks you can use to help you lose weight fast in the short-term. Ideally we want to shoot for around 2-4 pounds of weight loss per week, as these numbers are typically sustainable in that we can get the weight off and keep it that way. Any higher than 4 pounds for most people means that the excess weight lost is water weight, which ends up being put back on over time. Losing weight quickly and keeping it off does take work, but it doesn’t require that we obsessively measure and weigh ourselves to get there. Here are some effective ways which can help us lose weight on a deadline, and to keep that weight off for good. Reducing your caloric intake if we’re looking to lose weight is a no-brainer, but where many of us fail is the amount in which we are cutting out. Reducing calories is definitely an effective way to lose weight, however if we cut calories too much it can actually have the opposite effect. When the body becomes too calorie starved, it goes into a conservation mode where it actually begins to store fat and slows its metabolism. 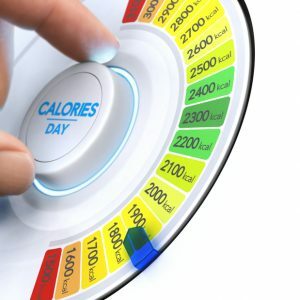 Eating too few calories is also going to make it difficult to get through our day, so make sure that if we are cutting calories, we aren’t going overboard. Generally speaking, an average man should be getting 1500 calories a day where an average woman should be getting 1200 to keep the body happy and metabolism working as intended. Many of us fail miserably when it comes to exercise, as we tend to invest too much time in the exercise while burning too few calories. The key here is intensity, and the harder we go, the less time we have to spend exercising. Ideally we want to be aiming for 500 calories or more burned through exercise, which will take around an hour if we’re going at a moderate pace. Compare that to the average HIIT routine which burns around the same amount of calories in a fraction of the time due to the increased intensity of the exercise. It all really depends on our fitness level and how fast we want to get your routine done. The key here is maintaining an elevated heart rate through exercise, as this factor has the greatest impact on calories burned and weight lost. We don’t necessarily have to go crazy with calorie counting or keeping a food journal to lose weight, it just comes down to modifying where you are getting your macros. Ideally you want to be reducing your intake of starchy carbohydrates and targeting fibrous vegetables. These types of vegetables contain a good amount of fiber while being extremely low in calories, which can help to fill us up without making us fat in the process. You want to be targeting nutrient dense foods over calorie dense ones, which eating more vegetables easily helps to do. Arguably the easiest way to get fat is through drinking, and not eating. It makes sense considering that these drinks are extremely rich in calories while being completely devoid of fiber and protein – two nutrients which play a major role in appetite suppression. 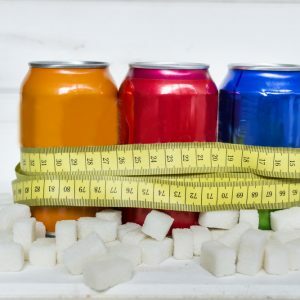 Drinking hundreds if not thousands of calories from our drinks routinely happens in many of our diets, as one 8 ounce can of soda can easily top 300 calories in most cases. The same thing can be said for many energy drinks, sports drinks, juices and other drinks which are loaded with sugar. Additionally all of these sugars found in these drinks are easily absorbed into the bloodstream, which inevitably leads to more weight gain. The best thing we can drink to lose weight is plain water, so substitute as many of our sugary drinks with water as soon as possible. Cheat meals are necessary on occasion to keep us on track and so that we aren’t feeling completely deprived by our diet. Many of us make the mistake over going overboard here, where some moderation would make all the difference. As a general rule of thumb, if we’re trying to lose weight our diet should consist of 90% healthy foods, and 10% unhealthy ones. This means that while indulging in a couple of slices of pizza on the weekend is ok, ordering a soda with some ice cream for dessert is not. Many of us also tend to not keep track of additives we use in our meals and beverages. The same thing goes for foods we tend to snack on throughout the day, which and up adding to amount for many more calories than we would think. This includes adding things like sugar or cream to coffee and tea, which are two of the most popular beverages across the planet. While these additives are only a drop in the bucket when they’re viewed in a vacuum, they can easily add up over time. Similarly to as we would too with our sugary drinks, we want to eliminate as many of these additives as we can. This means trying to drink coffee black, drinking plain tea, and to avoid the vending machine at work. Substituting vegetables in place of many of the other types of carbohydrates we eat is certainly going to lower our our caloric intake and influence weight loss. Eating more fiber in general is going to help here too, because of the effect it has on our appetite and how it influences our blood sugar levels. Eating more fiber keeps us full because the body takes a longer time to process this material. This in turn helps the body to regulate the amount of blood that enters the bloodstream in a more effective manner which helps to protect us against weight gain and diabetes. Remember that fruit juices, and vegetable juices are usually completely devoid of fiber so opt for their whole food versions to best encourage weight loss.